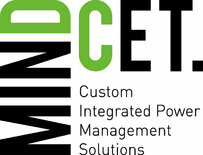 MinDCet is a Fabless Power Conversion IC design house with ISO9001 certification, based in Belgium, Leuven. Our focus is on ultra-fast wide-bandgap gate drivers for GaN and SiC (>100V/ns), motor drivers, high temperature actuator drivers (Tj>225°C) and high-voltage (>650V) monolithic IC design. Our product offering ranges from turnkey IC development , custom IP development and integrated power modules for automotive, biomedical, high temperature and radhard markets. Our business unit Measurement Systems develops and produces the patented MADMIX inductor measurement system, widely used in the R&D labs of all large inductor manufacturers.